Sleek, stylish keychain tools fit elegance and utility together at last! Brushed metal keychain duo includes a handsome knife and multi function tool in a custom case. A great gift for any man of style and substance! Multi tool keychain includes: led light, pliers, wire cutter, flat screwdriver, knife, saw, philips screwdriver and can opener. 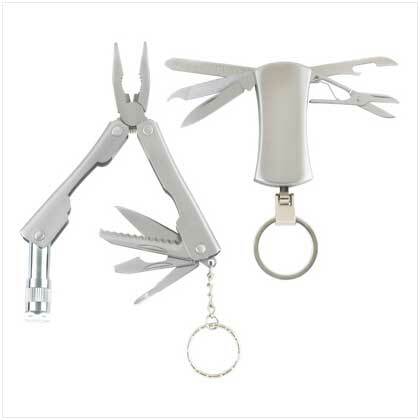 Pocket knife keychain includes: scissors, bottle opener, knife, ruler, and nail file. Stainless steel. Set: 5" x 5 3/4" x 1" high; multi tool keychain(closed): 1 1/8" x 1/2" x 4 3/4" high; pocket knife keychain: 1" x 3/8" x 3 7/8" high. Set. Retail Price: $16.95. 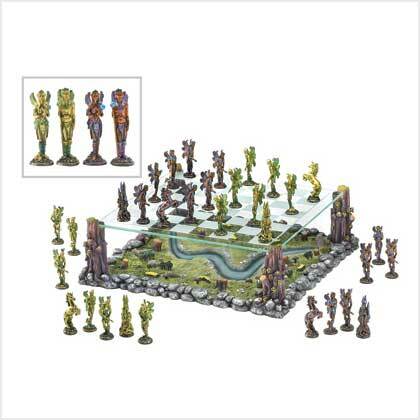 This product was added to our catalog on Thursday 04 September, 2008.